running, cycling, tramping and skiiing. My profession, other than learning and applying the Feldenkrais method, is as a mathematician. I thus know something about movement, and about the theory of feedback and feedforward systems, such as your central nervous system. The principal reason that I started studying the Feldenkrais method was desperation after physiotherapy and other methods failed to rid me of a persistent shoulder problem that was affecting my kayaking. The Feldenkrais method not only reset my shoulder but - to my amazement - the stiff knee and hip that I thought was 'my lot' vanished, and my posture improved beyond recognition. I now move - and hence live - more fully and easily. 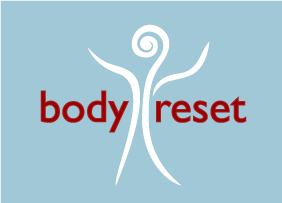 Feldenkrais should have been my first choice of treatment, not my last. With hindsight, I should have practised Feldenkrais earlier, and such problems would probably never have occurred. I took a leap of faith and started the intensive training to be a Feldenkrais practitioner, both to get more exposure to its benefits, and so that I could introduce others to them. This was a four year training program, and I had the privilege of having Jerry Karzen from Hawaii as training director and principal teacher. 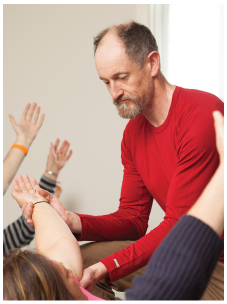 Jerry's teaching is the closest possible to experiencing that of the late Moshe Feldenkrais himself. Feldenkrais has transformed my performance and enjoyment of my sports. Perhaps more importantly, it has transformed my everyday life: I now live in a more, relaxed, capable, and carefree body. The impact of the Feldenkrais method on improving daily life is priceless. Finally, a good friend told me that studying the Feldenkrais method would be a life-changing experience: he was right, and it is very much for the better! I look forward to introducing you to the pervasive benefits of this method.